Th 1989 unsolved homicide of Pamela Webb. Pamela Webb, age 32, of Winthrop, ME, was reported missing on July 1, 1989. She was last seen wearing a denim skirt, sweater, and possibly moccasins. 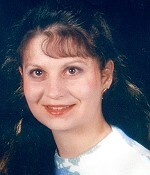 Pamela was on her way to see her boyfriend in Mason, NH, when she disappeared. Her 1981 blue Chevy pickup truck was found on the side of the road in the southbound lane of I-95 in Biddeford, ME. There were signs of a struggle near the truck. Her skeletal remains were discovered in the woods off Route 3 in Franconia, NH, on July 18, 1989. The medical examiner concluded that her death was the result of homicidal violence of an unspecified nature.